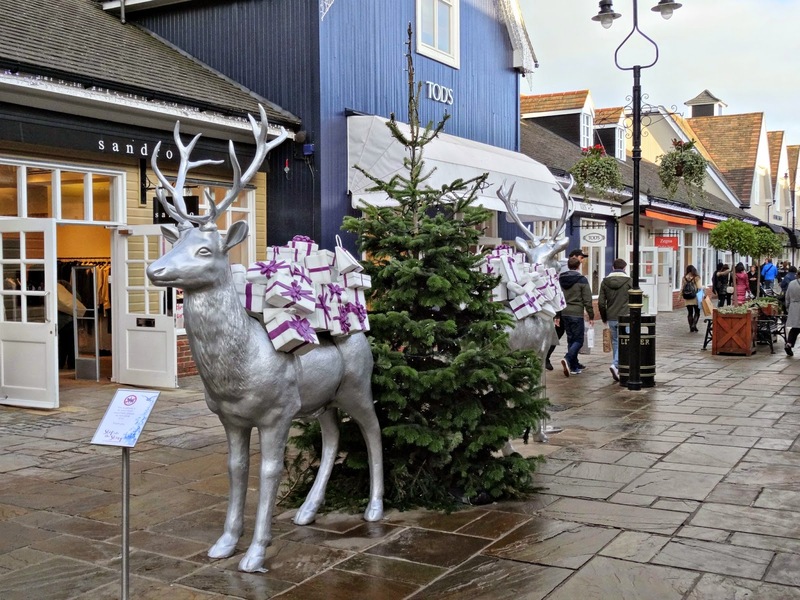 Just outside of Oxford lies Bicester Village, a Designer Outlet with lovely shops, neat surroundings and great savings on designer products of up to 70% of the original price. Most of my Christmas shopping was done here, as I've visited the village last February and wanted to come back ever since. Christmas shopping came in handy and I also received my full flat deposit back so it just seemed right to splash some cash and treat myself and my family to some awesome gifts. 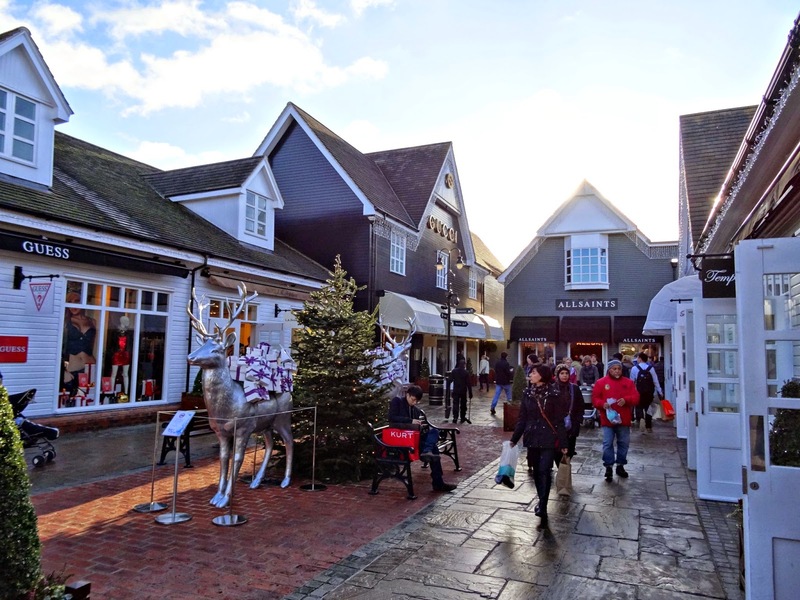 I'm a typical High Street shopper and I've never lived or been close to a designer outlet so to me every single visit to Bicester feels very, very special. What I really like about Bicester is the unique shopping experience and you can have a look around all the big luxury names including Dior, Kate Spade, Burberry, Prada, Barbour, Ralph Lauren, Michael Kors, Folli Follie, Mulberry, Alexander Mc Queen, Dolce & Gabbana, Fendi or Saint Laurent (full list here) without getting 'the looks'. Maybe it is just me, but on the High Street, I always find myself adoring the luxury brands from afar. I window shop but actually never dare to go inside, simply because I think the shop assistants can tell I haven't got the cash and I have this weird imagination they wouldn't even let me in. In Bicester, there's a completely different atmosphere. No one will judge you and you can have a look around the beautiful little shops without being judged. Shop assistants are generally friendly and the doorman will greet you with 'Good Day Miss' and say goodbye with 'Thank You for shopping with us Miss' - it feels very cultivated and exclusive. It is such a different experience to what you usually get on the High Street. In most shops all items are display items, so once you've decided on something, you will always get a brand new item from the stock. This is perfect because it underlines the exclusivity again and you can be sure the item will be entirely yours and not touched by billions of other people beforehand. 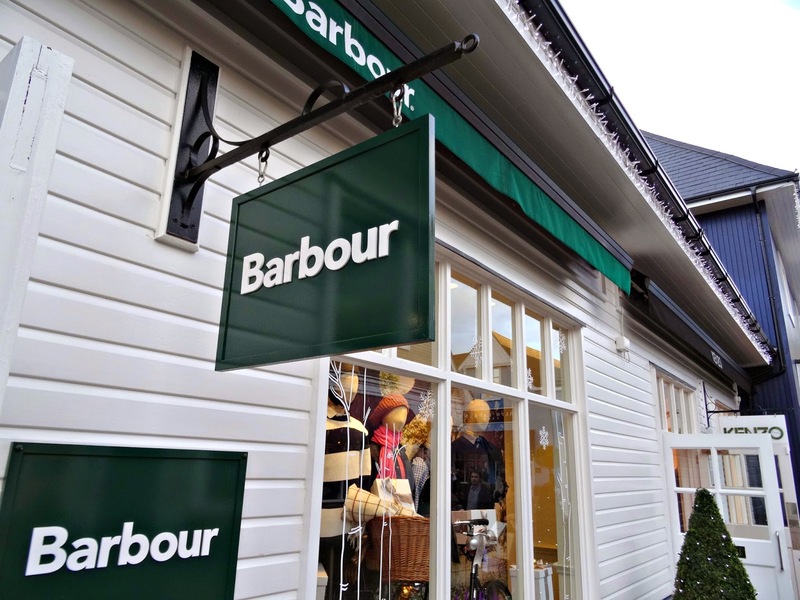 I find Bicester perfect for shopping quality designer gifts and it is a handbag paradise. I got three MK handbags from here. The satchel which you may have seen in my London ootds post was reduced from £250 to £99 and my slouch bag which I got for Christmas came £89 (formerly £360). Last time I went, I invested my fully refunded flat deposit in some Kate Spade bucket handbags. It was so much fun to shop alongside other fashion crazy women and find good deals. I can't recommend the UGG shop right at the beginning of the village at all. Please don't bother to go in there. I've been twice now and both times it was so busy, their stock is generally low and the staff is super unfriendly. On my last visit, I went in there and hoped to find a bargain with their expensive but very cosy sheep wool gloves. These usually retail at £110 and the Bicester shop sells them for £75. Unfortunately, there was only the display item left, which I didn't buy and the shop assistants reacted snappy and stubborn when I asked if they could check their stock if this one really was their last pair. Next time, I'll definitely skip UGG and head straight to All Saints or Ralph Lauren. Thank you so much for reading today's post. 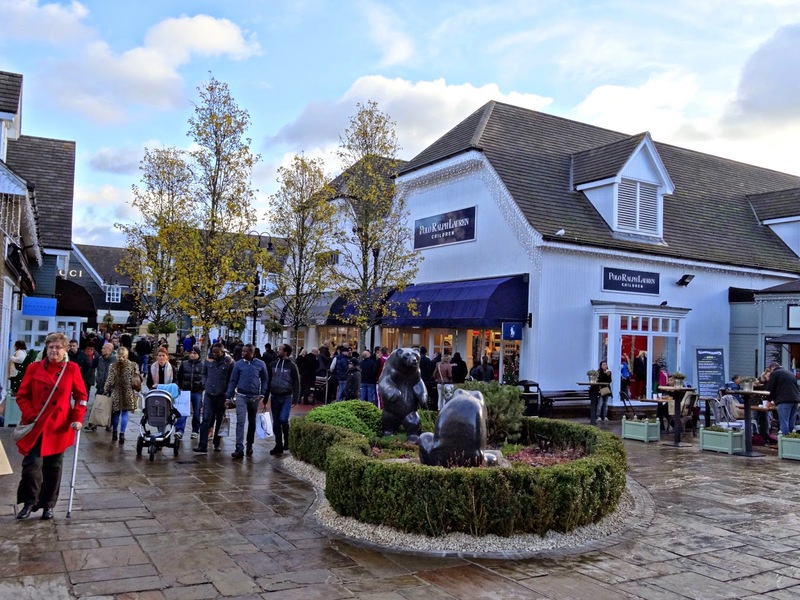 Have you been to Bicester Village Designer Outlet before? What did you get? Do you live near Oxford? 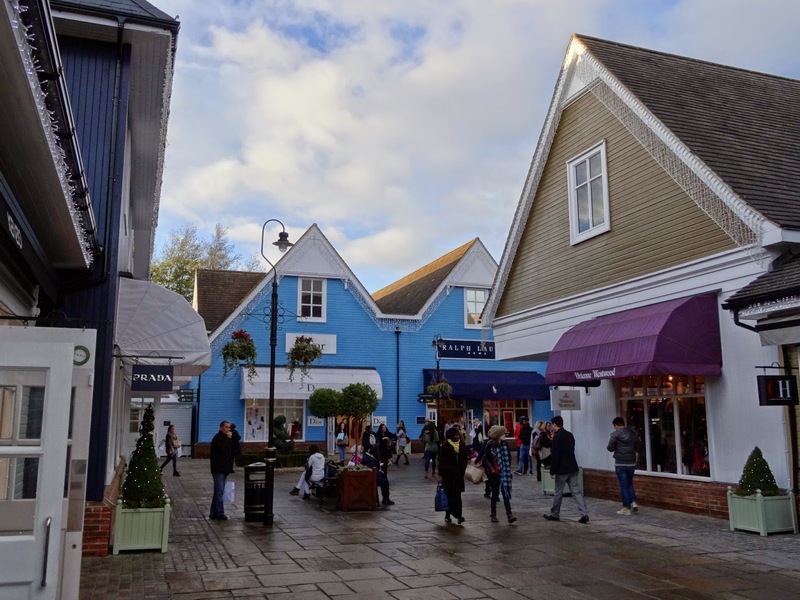 Have you got a designer outlet near where you live? 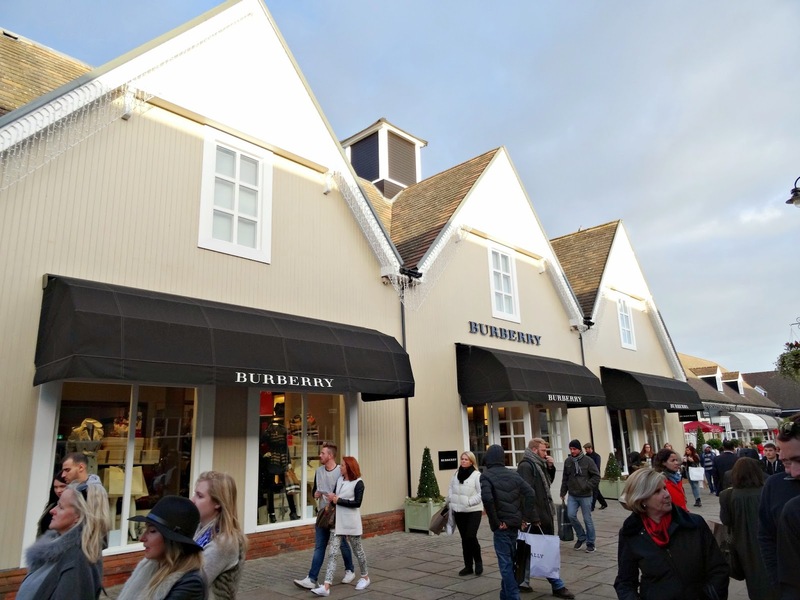 Would you like to go to Bicester and which brand would you be excited for the most? Let me know your experience or if you've planned a trip down there, love to read all your comments and leave me links to your Bicester village posts!